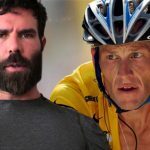 Lance Armstrong’s Wheels Falling Off? Lance Armstrong is a used syringe away from becoming the Barry Bonds of the cycling world. Is There Really Such Thing as a Poker Super Drug?